Axis Mutual Fund, one of the leading asset management companies, has launched a first-of-its-kind initiative ‘MF Idol’, a singing talent hunt for the entire IFA community (Independent Financial Advisors& Mutual Fund Distributors) across the country. The objective is to recognize the continued and valuable contribution of the intermediary community towardsthe MF industry,in going beyond just business. Axis MF aims to reach out to not only the existing empanelled IFAs but also the prospective ones. This engagement activity gives an opportunity to initiate a dialogue with the IFA community in a fun-filling manner and deepen the engagement further beyond mere business related aspects. Mr Karan Datta, Chief Business Officer, Axis Mutual Fund said - An IFA’s day-to-day life is about markets, schemes, performance, client servicing, operations, amongst other things. An IFA is more than someone who just helps investors with forms, schemes and investments. To us at Axis Mutual Fund, an IFA/MFD is a Shubhchintak, a well-wisher to the investors and their families. They are the ones who not just manage investments for fulfilling life goals, but also their emotions and wellbeing. 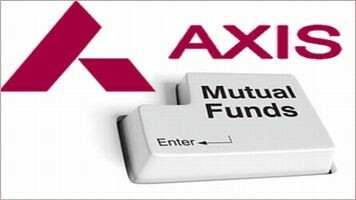 At Axis Mutual Fund, it has always been our endeavour to engage meaningfully with IFAs. Through our Xtraordinaires platform, we aim to inspire and motivate them. Given the busy life of IFAs, they get limited space to exhibit their strengths and passion beyond business. MF Idol is one such initiative which will inspire the IFAs to explore their interest and passion beyond business.Latching on to the insight that there is always a hidden singer in everyone, and at times you need to structure an idea to bring out that talent,we conceptualized MF Idol. Music binds people together and has the potential to bring people on a common platform. MF Idol will indeed help IFAs to discover and nurture their hidden talent. The participants will get an opportunity to learn the finer nuances of singing with the help of a jury comprising well accomplished singers. The winner of the talent hunt will get an opportunity to sing and record the experience with one of the singing sensations in India. The participation in MF idol is simple. Any IFA with a valid ARN can participate. He / she can nominate self or any one member from the family. Grand Finale: May/June in Mumbai.